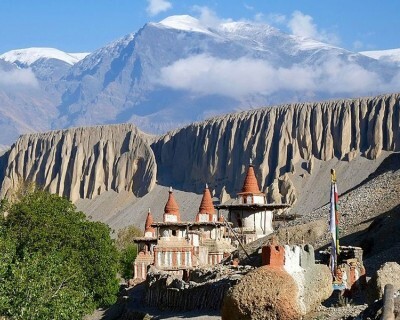 Nepal is specially known in the world for its natural beauty and cultural diversity. In the natural point of view, Nepal is majorly known for the highest peak in the world, Mount Everest (8848 metres from sea level). There are seven more mountains above 8000 metres height. The Himalayan ranges on the northern part of the country and the greeneries all around with almost 6500 rivers flowing makes it more beautiful. Nepal is the second richest country in water resources after Brazil. 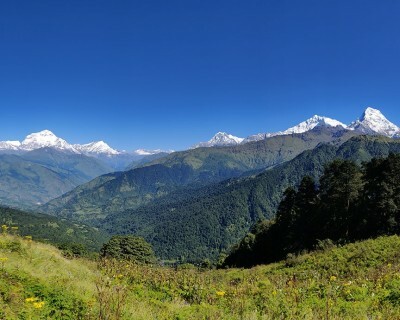 The uncountable numbers of lakes, big and small rivers, glaciers, green forests, high hills, availability of many species of birds, animals and vegetation makes Nepal naturally heaven. As there is a saying 'Heaven is myth, Nepal is real'. Along with the natural resources, Nepal is well known for its cultural diversities. The culture of Nepal is rich and also unique. With the combination of different ethnic groups, tribal, music, art and craft, religions, philosophies, languages, festivals, foods and celebrations, Nepalese culture highly encompasses the multi-dimensional diversities. These cultural beliefs and practices have been followed from the ancient period. Most of these rituals follows and accomplices the Indian, Mongolian and Tibetan culture. 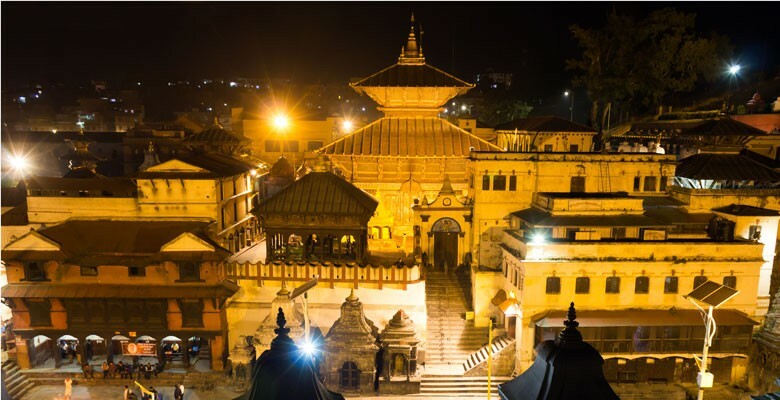 With these diversification and influential differences in culture, the capital city of Nepal; Kathmandu, has been entitled as the 'City of Temples' where many of the UNESCO's World Heritage Sites are situated. 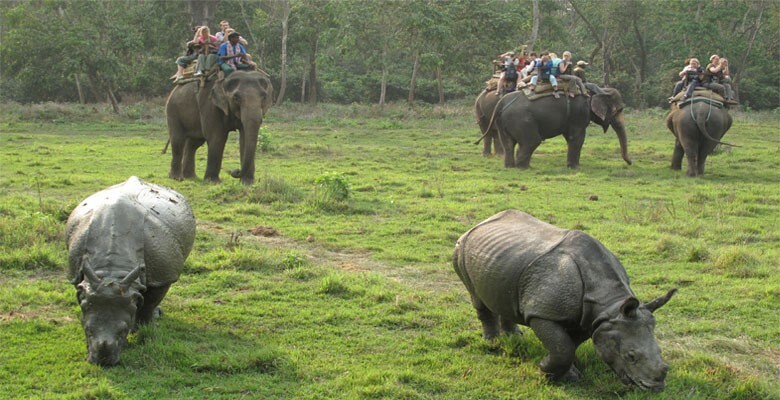 Chitwan National Park was established in 1973 which is also the first national park of Nepal. It is located in Inner Terai Lowlands in the districts of Nawalparasi, Chitwan, Parsa and Makwanpur which covers the area of 932 sq km (360 sq miles). It was granted the status of UNESCO's World Heritage Site in 1984. About 70% of the park area is covered by Sal trees. Other areas are covered by more than 50 species of plant like Elephant grass called Saccharin ravennae, Giant cane (Arundo denax) and several species of true grasses. As the other vegetations, this national park is haunt of more than 700 species of wildlife and not yet fully surveyed number of butterflies, moth and insect species. This national park which is ecologically diversified is also known as home for the endangered One-horned rhinoceros and Bengal tigers. Along with them, many other animals can be spotted there with the likes of Bengal foxes, Leopard cats, snakes, crocodiles, Sloth bears and golden jackals. 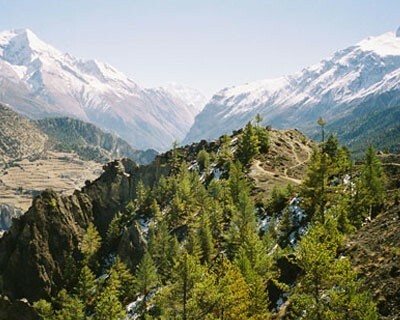 Sagarmatha National Park was designated as UNESCO's World Heritage Site in 1979 after being esrablished in 1976. It encompasses an area of 1148 sq. km (443 sq. miles). 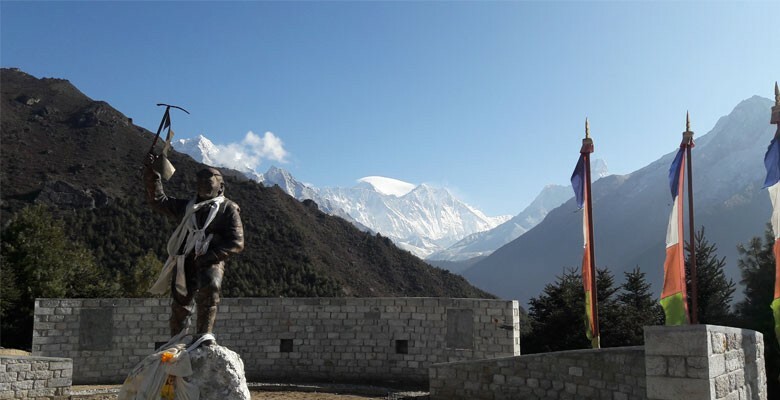 It is located in Solukhumbu district and highly dominated by Mount Everest. This park is identified as an Important Bird Area by BirdLife International. It consists of landscapes with the containing of Gokyo lake, Mount Everest, Lhotse Mountain and other peaks. Snow leopard, Himalayan wolves, Himalayan Monal, Blood Pheasant, Langur Monkeys, Rhododendron, Blue pines etc. are the majority of animals, birds and vegetations of this park. 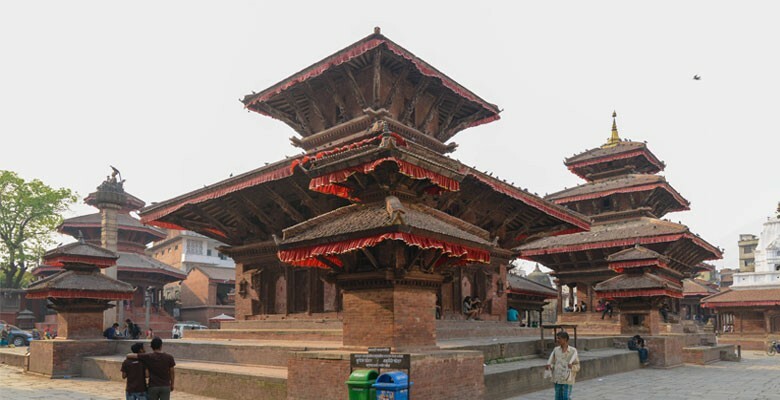 This is the most ancient Hindu temple of Nepal. It is situated on a hilltop of Changunarayan municipality of Bhaktapur district, 8 miles east of Kathmandu, is surrounded by forest with Champak trees. This shrine is dedicated to Lord Vishnu. People from Newar community live in and around this area. 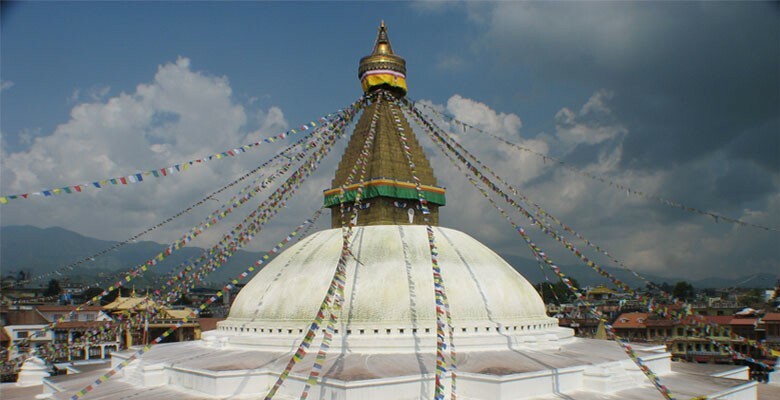 Bouddhanath stupa is located in the city of Kathmandu which is one of the largest spherical stupas in Nepal. It is 36 metres (118 ft) in height. This stupa was designated as UNESCO's World Heritage Site in 1979. The stupa on the ancient time was on a trade route from Tibet which enters the Kathmandu Valley, heading over the Bagmati river to Patan. Tibetan merchants have rested and some offered prayers here for many centuries. So, it is also known as one of the biggest shrines for Buddhist people. It is also known as Swayambhunath Maha Chaitya and recalled for the representation of body of Lord Buddha. 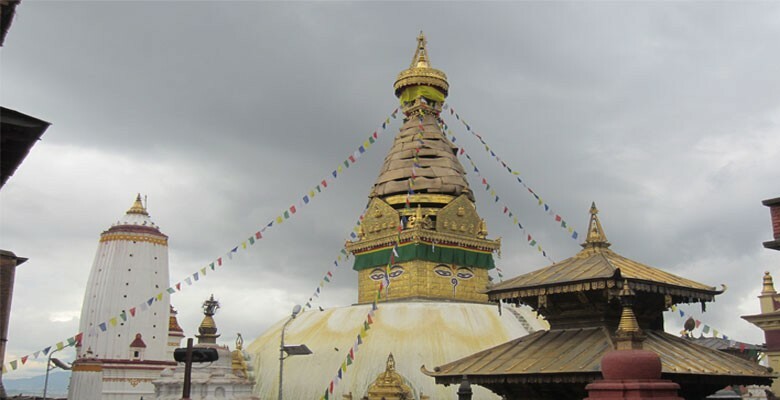 Swayambhunath is among the oldest religious sites in Nepal. It is located in the western part of Kathmandu. It is an ancient religious architecture atop a hill in the Kathmandu Valley where many varieties of trees are found in the hills. Some tourists call this stupa as 'Temple of Monkeys' as we can find numerous monkeys around the stupa. For the entry to this stupa, one should climb up 265 steps from the base to top. It is one of the sacred temples of Hindu faith. This temple is on UNESCO's World Heritage Site since 1979. It is located on the bank of Bagmati river, 5 kms north-east of the Kathmandu. It is one of the most important holy places for the Hindus from all over the world. Mahasivaratri is one of the major festivals celebrated in this temple where more than 800,000 people from different part of the world come to pray and worship. Previously, only Hindu people were allowed to enter the temple but now with certain conditions, other people who aren’t Hindu can also enter. Lumbini is the birth place of Lord Buddha. It is a Buddhist pilgrimage site located in Rupendehi district of Nepal. Lumbini has a number if temples and monasteries. It was granted UNESCO's World Heritage Site status in 1997. More than 400,000 visitors visit Lumbini every year. 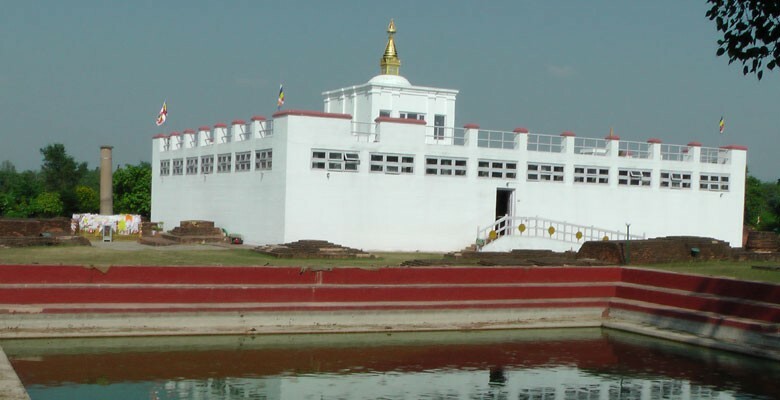 Lumbini is the place where Queen Mayadevi gave birth to Siddartha Gautama in 563 BC. He achieved enlightenment sometime around 528 BC, became Gautam Buddha and founded Buddhism religion. The holy site of Lumbini has ruins of ancient monasteries, a sacred Bodhi tree, an ancient bathing pond, the Ashokan pillar and the Mayadevi temple. At present, it is considered as the world's biggest Buddhist pilgrimage destination and the source of world peace. 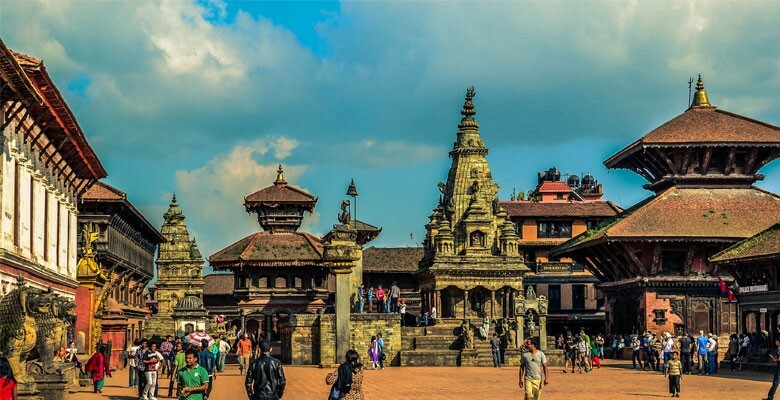 Basically known as Basantapur Durbar Square and Hanumandhoka Palace Complex, it holds the palaces of the Malla and Shah Kings who ruled over the Kathmandu city. Along with the palaces, the square consists of courtyards and temples. The palaces and the temples around this square are decorated with very well carved wooden windows and sculptors. The sites and palaces is being used as a museum and only few parts of the palaces are open for visitors whereas the Taleju temples are only open for Hindu and Buddhist faiths. 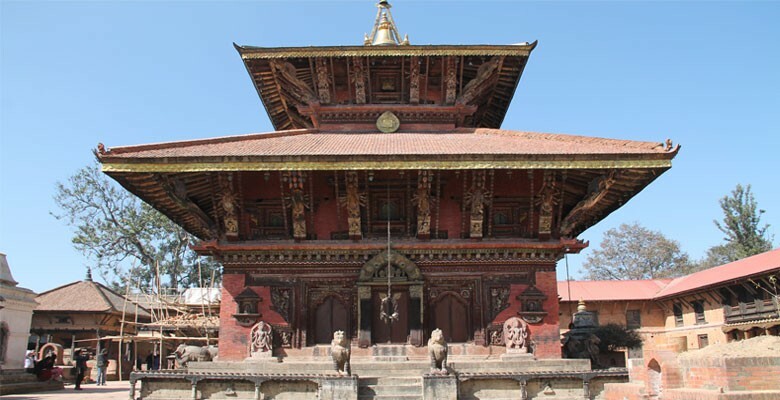 It is located in the current town of Bhaktapur which lies 13 km east of Kathmandu. This square consists of famous 55 window palace, Batsala Temple, Nyatapola temple, Golden gate and many more artistic temples. 55 window palace was built in 1427 AD with brick walls, their gracious setting and sculptural design and balcony of fifty five windows considered as the unique and immeasurable class of wood carving. Nyatapola temple is the biggest and highest pagoda of Nepal ever built and the Golden gate (Lu Dhowka) is the most beautiful and richly moulded specimen of its kind in entire world. The Durbar Square is surrounded by masterpieces of architecture and the vivid skills of the Newari artists and craftsmen. 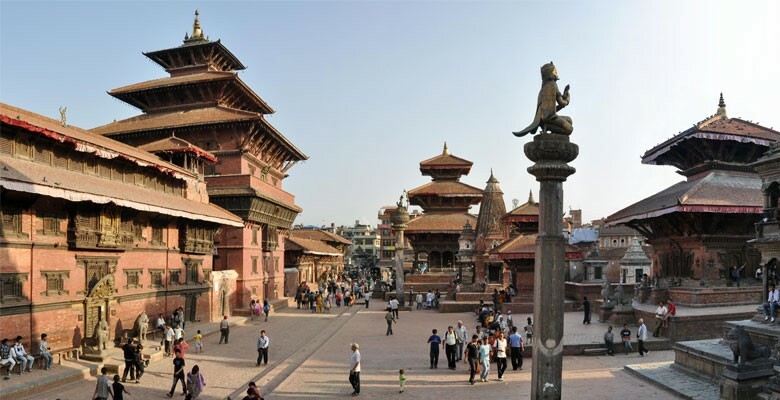 Patan Durbar Square is located at the center of Lalitpur city. This square is a marvel of Newa architecture. This square is surrounded by Newari residential houses and alignment of temples. Patan is one of the oldest known Buddhist cities and considered at the centre of both Hinduism and Buddhism with 136 bahals or courtyards and 55 major temples along with Krishna Mandir, which is the most important temple in Patan Durbar Square. It is unique in its own way as the stone carving makes it sensational architecture. Other temples such as Bhimsen temple, Vishwanath temple, Taleju Bhawani temple are other major temples around the square. The major festival celebrated here is Shree Krishna Janmastami as the birthday of Lord Krishna. The square is crowded with thousands of Hindu pilgrims and devotees during this festival.